Health is something people have taken for granted and for whatever reasons, people sometimes do not take medicine seriously. This is why they end up spending more than the actual amount. As a General surgeon based in Dubai, Dr Nader Salti has found that when it comes to taking care of health and overall fitness, people are all the same universally. Nigeria for instance, has many patients going out to countries like United Arab Emirates or India for medical treatments. The reason for Nigerians to go to these countries, especially to doctors like Dr Nader Salti in Dubai for treatment or surgery in the recent times could be many. One of the most talked about advancements to happen in the recent years in Dubai has been that of the medical and healthcare sectors. For any country to succeed or call itself advanced, it needs to focus on the healthcare sector and ensure that it takes care of all its citizens. Dubai in today’s times has taken great strides in this sector and not just by improving the infrastructure of hospitals or medical facilities alone but also by staffing it right. As per the reports, DHA or Dubai Health Authority claims to attract more than 500,000 medical tourists from different countries just in one year. Dubai’s overall efforts at improving its image as a medical tourism destination have been a talk of the world recently. The ripples have also been felt across continents in Nigeria and there are plenty of patients who are found boarding their flights to seek thebest of medical services here. Multinational practitioners: There are medical practitioners from various countries working in Dubai to serve and provide the best of services to cure these patients. Advanced infrastructure: One more reason for Dubai to succeed and be a top choice has to be the presence of top-notch infrastructure. It is no surprise that the country has already become famous for its high-end international standard infrastructure. Ease of getting visa for medical treatment: Furthermore, the patients who come here for medical treatments can easily avail Visa for the same without any hassle. This has been a very talked about move that has also changed the face of Dubai’s healthcare system in the recent times. Poor healthcare facilities in Nigeria: A primary reason for Dubai to emerge as a top choice for Nigerians is also a fact that the country is reeling under the pressure of falling back due to the lack of skilled practitioners and facilities. 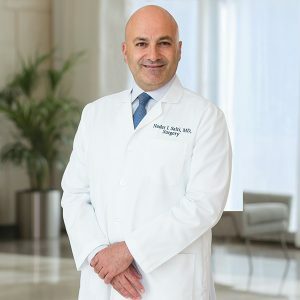 Doctor Nader Salti to Your Help: In the field of general surgery, Dr. Nader Salti has already garnered plenty of accolades and as a medical practitioner, he feels that his services should be to everyone around the world. Acknowledging the growth of medical facilities in Dubai, he is inviting the citizens of Nigeria to visit Dubai and find a cure to their ailments and that too at the right prices. Call for appointment or write Dr. Salti directly at [email protected] or call the Call Center of the Emirates specialty Hospital in Dubai Healthcare City at +97142484500 and ask for appointment with Dr. Nader Salti directly.